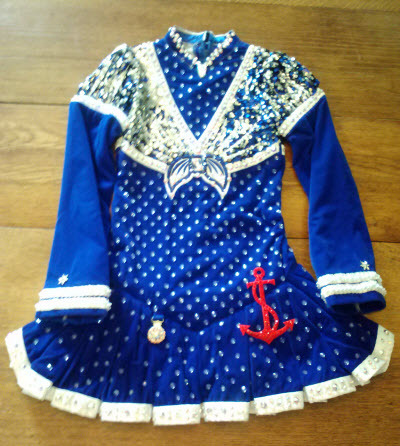 Stunning sailor-themed dress by Geraldine Taylor in Belfast. 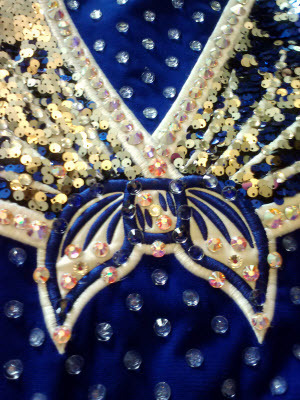 Dress is vibrant blue, silver, white with red accents and underskirt. 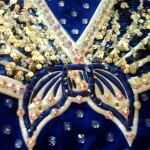 Bodice gemmed with backless clear Swaroski crystals. Includes trunks and matching Alice band. 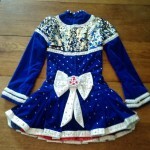 Warn by petite teenage champ but would also suit younger dancer with minor alterations. Shipping included within continental US.